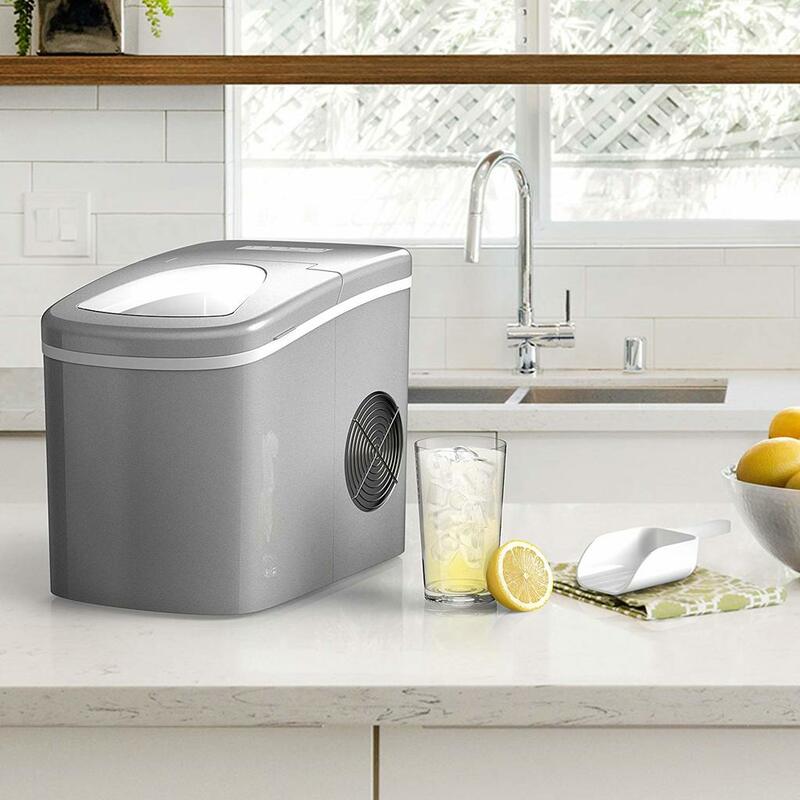 The hOmeLabs portable ice maker is a compact traveling/countertop ice maker that can make up to 26lbs of ice per day. It produces bullet-shaped ice pellets, around 8 of them at a time in one of two sizes. Once the 1.5lb bin fills up, it shuts off automatically until you empty it. It pretty easy to use and no installation is required. Its compact and lightweight design makes it not only great for your kitchen but also for camping, road trips, boats and RVs. Just plug it into a grounded 110V-120V outlet, and you are good to go. The hOmeLabs ice maker is very similar in terms of features and price range to other popular portable ice makers like Igloo and Della. 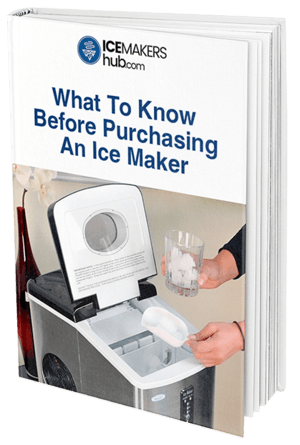 But if you still want to compare all of them, read our best portable ice makers buying guide for reviews of the top models. If you are looking for a small portable ice maker you have a lot of affordable options to choose from. This hOmeLabs 26 lb model is a great choice. There is nothing strikingly unique about the features of this hOmeLabs ice maker, however. The ice making and storage capacity are similar to those of most other portable ice makers. Operations and maintenance are about the same, as well..
That’s not to mean it’s not a good ice maker. It’s one of several great options available in the market. That said, one feature you are going to love is how quickly it makes ice. With the hOmeLabs on your countertop, you can make a full batch of ice in 6-8 minutes. Granted, a single batch is just eight ice cubes - enough for one or two drinks. 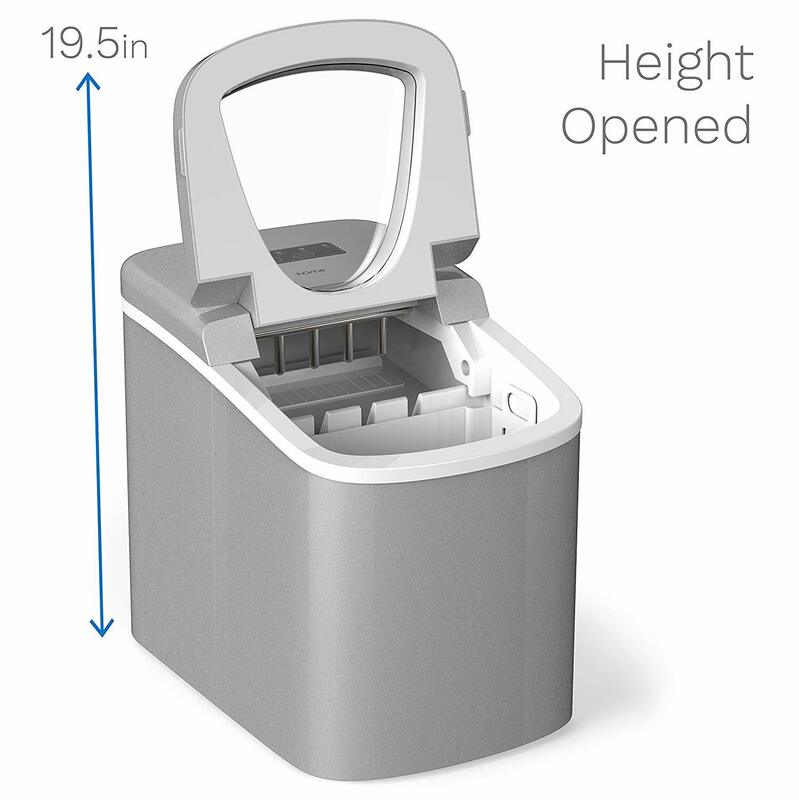 The hOmeLabs icemaker can supply ice for small families and small parties of less than 6 people indefinitely - because it produces 5 batches an hour. Since it’s much smaller than a full sized ice machine, it's highly portable. You can set the hOmeLabs unit up in the center of the action. You don’t have to keep going back to the kitchen or basement to get more ice. Also feel free to stuff it in your trunk when traveling by car. As long as you have a 115V power source nearby (e.g., using a solar generator when camping, or in a hotel room), this ice machine is a great way to enjoy chilled drinks when out of town on holiday. It's also a great choice for ​any RV or boat, as it takes up very little space. 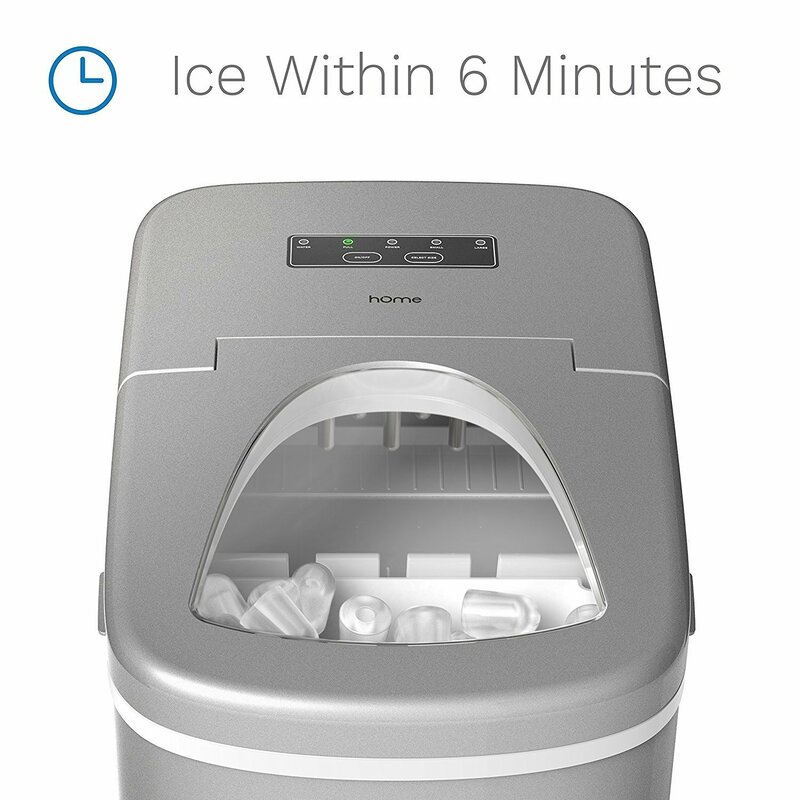 The hOmeLabs portable ice maker can make up to 26 lbs of ice per day, or about 1 lb per hour. The storage bin holds about 1.5 lbs of ice, which is enough for about 6-8 drinks. It produces ice in 8-cube batches that take 6-8 minutes to make. Once the bin is full, the ice maker automatically lights the FULL indicator and shuts itself off to prevent an overflow. Note that the ice bin is not refrigerated, although it is insulated. You empty the bin using the included plastic scoop. If you don’t plan to use the ice cubes within the next hour or so, then I recommend storing them in the freezer. 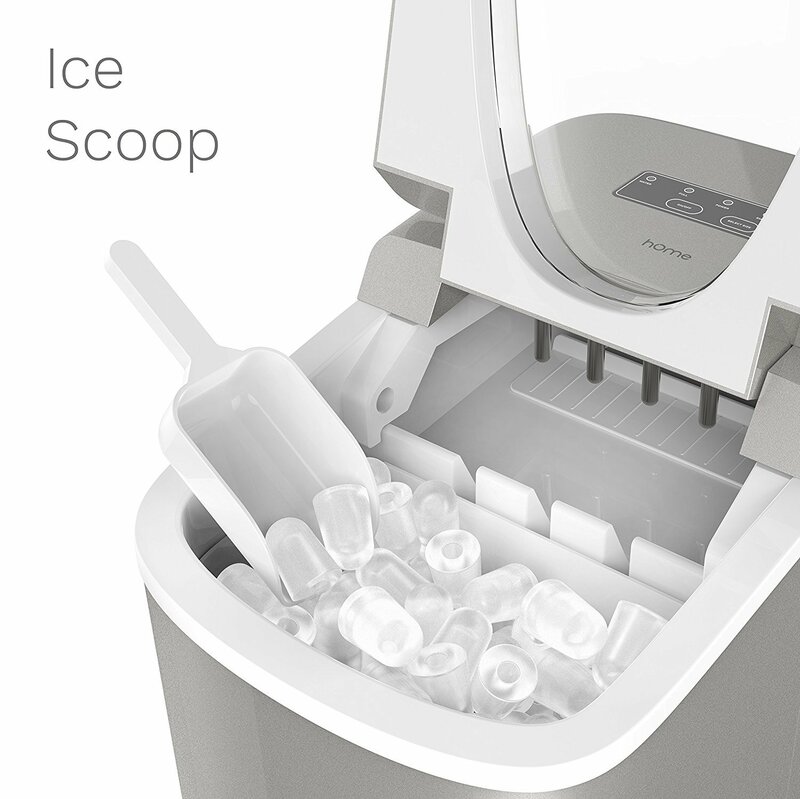 This ice maker produces medium-density bullet-shaped ice cubes. They are not as clear or as hard as gourmet ice cubes and not as soft or chewy as sonic ice. They fall somewhere in between. This kind of ice is ideal for a wide variety of drinks including margaritas, iced tea, and smoothies. But I would not use this ice in premium drinks like fine whiskey, as they tend to melt quickly which may dilute your drink. I also do not recommend this ice for chewing. You can certainly crush them with your teeth, but sonic ice is much better for chewing. If this is what you're looking for, then check out my top picks for the best sonic ice machines in my sonic/nugget ice maker buying guide. The hOmeLabs ice maker lets you choose between two ice cube size options: small and large. Note: To produce the best quality ice, always use clean filtered water. It’s also important to regularly clean the appliance to avoid a ‘plastic’ taste or smell. The ice maker is ready to use right out of the box. Just fill the reservoir and plug it in. Note that it takes a few bad batches (which you need to throw away) before the ice maker starts producing proper ice cubes. The control panel includes on-unit buttons for on/off and ice size. There are also indicators that light when the water reservoir is empty and when the ice bin is full. Maintenance is really easy. Use a soft cloth soaked in vinegar and warm water to clean the inside. It will keep the ice tasting and smelling fresh. The hOmeLabs portable ice maker is one of the most popular and highest-rated portable ice makers on sites like Amazon. As of the date of this review, it is also an Amazon Choice product. The vast majority of verified owners say the hOmeLabs is easy to use and makes good-quality ice. ​They also love how quiet it is when making ice (except for a little noise when ice cubes drop in the bin). As far as I know, you cannot purchase the hOmeLabs 26 lb personal ice machine in a retail store. The best place to buy this appliance online is Amazon.com due to the large number of verified owner reviews there and the low prices. 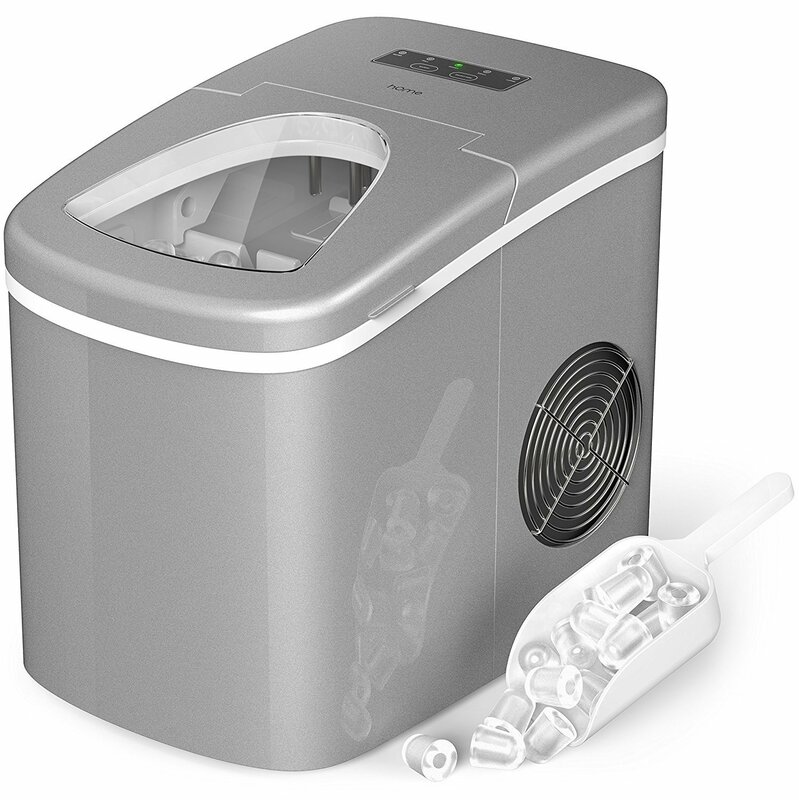 The hOmeLabs portable ice maker is a tried-and-tested small portable ice machine with lots of positive customer reviews. 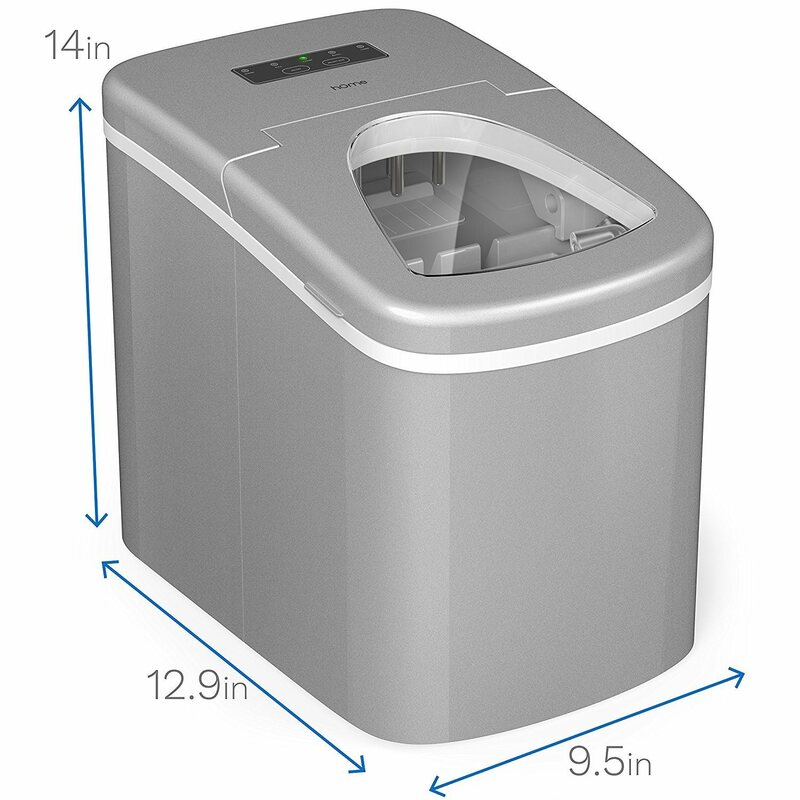 The hOmeLabs 26 lbs ice maker is a perfect countertop addition for your kitchen, RV or boat. If you don’t need 40 lbs - 60lbs of ice a day for an office or a large party, then the hOmeLabs portable ice maker is a great alternative to an undercounter or built-in ice machine. It’s also FAR less expensive, requires no line-in or draining and makes enough ice for most families. hOmeLabs provides a 30-day no-questions-asked money-back guarantee plus a 2-year warranty - plus an additional 6 months if you register the appliance online.